Confirming what most of us had hypothesized. 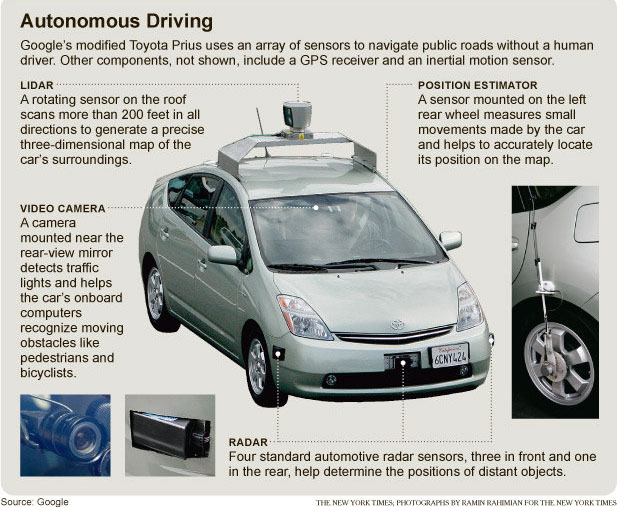 Where Stanford invents self-driving cars | The Car Tech blog – CNET Reviews. Congratulations to those staying away from the stores today. The riskiest day of the year to shop. Google Has Developed a Self-Driving Robot Car, and It Works! | Inhabitat – Green Design Will Save the World.